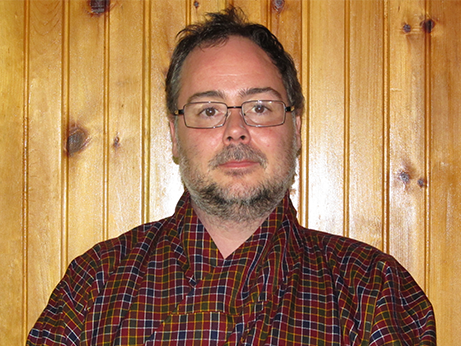 michael.peil@jswlaw.bt On 10 May 2016, Michael Peil was appointed Vice Dean of Jigme Singye Wangchuck School of Law by HRH Ashi Sonam Dechan Wangchuck. Michael Peil has served as a Consultant to the JSW Law/RIL since February 2013. He previously served as Associate Dean for International Programs at the School of Law of Washington University in St. Louis (USA) and as Executive Director of the International Law Students Association. He received his Bachelors degree from Wake Forest University (USA) and his Juris Doctor from Cornell Law School (USA). He lives in Thimphu with his wife and two children. Rinzin Wangdi was appointed as an Associate Professor of Law at Jigme Singye Wangchuck School of Law on 1st January 2017. He completed his B.A. 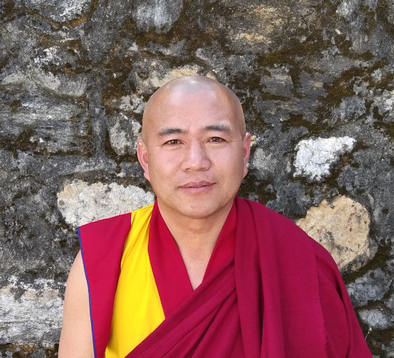 Buddhist Philosophy from the institute of Nga-gyur Nyingma, Mysore, India and the P.G. Diploma in National Language course in 1998. Rinzin served as Drangpon Rabjam at the Judiciary, before which he worked as Chief Research Officer at the High Court. He served a total of five years at the Supreme Court and seven years at the High Court. During his tenure with the Judiciary, Rinzin contributed to the development of judicial forms as a part of reforming the judicial procedures. He also taught Dzongkha grammar, poetry and Bhutanese Laws to Bench Clerk trainees. He has published several books such as the Legal Dictionary, Building the Supreme Court, Source of Law and Court Crest – Judiciary of Bhutan. He resides at the NPPF colony with his wife and six children. stephan.sonnenberg@jswlaw.bt Stephan Sonnenberg joined JSW Law in 2015. Stephan specializes in human rights, humanitarian law, conflict resolution, and international development collaboration. He previously served on the clinical faculties of both Harvard and Stanford law Schools, supervising over 35 clinical projects in the United States, Asia, Africa and Europe. He is licensed to practice law in Massachusetts, California, and England & Wales. He received his Bachelors degree from Brown University (USA), a Masters in Law and Diplomacy from the Fletcher School (USA), a Cycle Internationale d’Études Politiques from Sciences-Po Paris (France), and a Juris Doctor from Harvard Law School (USA). He lives in Thimphu with his wife and two children. ngawang.lhundrup@jswlaw.bt Ngawang Sherab Lhundrup was appointed as Assistant Professor of Law at Jigme Singye Wangchuck School of Law on 1st January 2017. He completed his B.A. and M.A in Buddhist literature and Philosophy from Ngagyur Nyingma Institute, Mysore, India. He also completed his Doctorate in Buddhist philosophy from the same Institute. 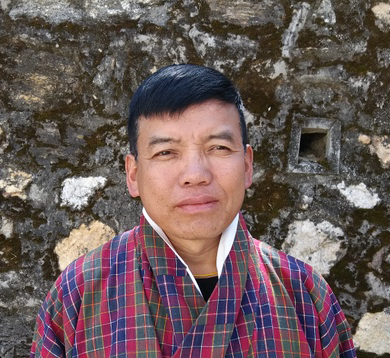 Ngawang served for more than five years as lecturer at College of Language and Culture Studies at Taktse, Trongsa, before which he taught for a year at the Institute of Language and Cultural Studies, Semtokha. Prior to that, Ngawang taught Tibetan grammar, Buddhist Literature and Philosophy at Nyingma Institute, Mysore, for close to 12 years. He currently resides in Taba. judy.stark@jswlaw.bt Judy Stark joined JSW Law/RIL in 2013 as a Legal Information Consultant. Currently, Judy is the Associate Dean for Library and Information Services and a Senior Lecturer. She previously served as a Research Librarian and Lecturer in Law at Washington University in St. Louis School of Law (USA) and as a Research Librarian, Head Librarian, and Office Manager at the American law firm, Jenkens & Gilchrist. She received her Bachelors degree from Northwest Missouri State University, her Master of Library Science from Texas Woman's University, and her Juris Doctor from DePaul University College of Law (all USA). She resides in Thimphu with her husband and two children. nima.dorji@jswlaw.bt Nima Dorji joined JSW Law/Royal Institute of Law in 2014 as a Legal Officer. He is now a Senior Lecturer. 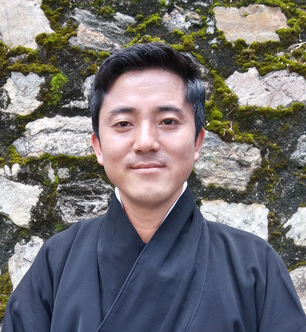 Before joining JSW, Nima worked as a Legal Officer at Bhutan National Legal Institute (BNLI). He was one of the founding staff of BNLI, and since then managed UN funded activities and legal dissemination programs. He received his B.A., LLB (Hons.) Degree from NALSAR University of Law, India, in 2009, his Postgraduate Diploma in National Law (PGDNL) from Royal Institute of Management, Bhutan, in 2010, and his Master of Laws (LLM) from University of Canberra, Australia, in 2014. Nima will take a leave of absence from 2017 - 2019 to pursue Ph.D. studies at the University of Victoria (Canada). dema.lham@jswlaw.bt Dema Lham joined JSW Law/Royal Institute of Law in 2015 as faculty. Before joining RIL, she worked as a senior Legislative Officer at the National Assembly Secretariat. She received her BLS.LLB Degree from Government Law College, Mumbai University, India in 2006 and Postgraduate Diploma in National Law (PGDNL) from the Royal Institute of Management, Bhutan in 2007. 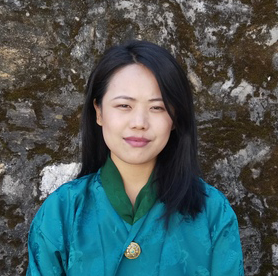 Dema received her Master of Laws in Criminal Law at the University of New South Wales (Australia) in June 2017.
pema.wangdi@jswlaw.bt Pema Wangdi joined the JSW Law/ the Royal Institute of Law in 2010 as a programme coordinator. He now is a Senior Lecturer in Philosophy. Before joining RIL, he worked as the General Manager of KuzooFM, a youth radio station based in Thimphu. 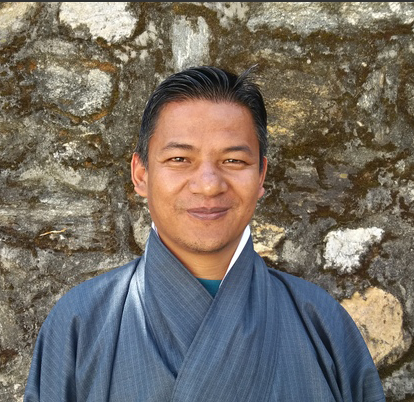 Pema has spent a large part of his career with the Ministry of Education, starting as a teacher, then advancing to a curriculum writer, and then as a producer of a popular radio programme called, "Education Calling Teachers." He received his Diploma in Cinema, Television, Stage and Radio (Major in Radio Journalism) from Southern Alberta Institute of Technology, Canada in 2002, and a Bachelor of Arts(Hons) in Philosophy, Politics and Economics (PPE) from Rangsit University, Thailand, in 2011. Pema received his Master of Arts in Philosophy from Fordham University (USA) in 2016. Tshering Dolkar was appointed as a Junior Lecturer at Jigme Singye Wangchuck School of Law starting on 1st February 2017. She completed her school education from Motithang Higher Secondary School and completed her Law Degree from the University of Kent, UK. She received funding to study at the University of Kent from His Majesty the King, Jigme Khesar Namgyel Wangchuck, a prestigious scholarship based on her excellent BHSEC performance. She then completed her P.G. Diploma in National Law from the Royal Institute of Management, Thimphu. She also completed a one month internship with Royal Court of Justice, High Court, Thimphu. Tshering is currently on study leave, pursuing an LLM degree from Lewis & Clark Law School (Lewis & Clark College, Portland, Oregon, U.S.A.). 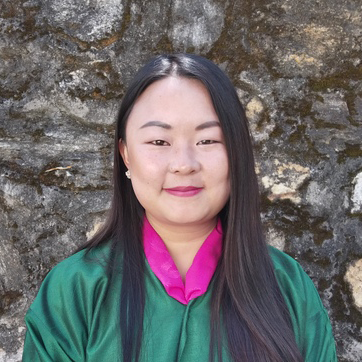 sonam.tshering@jswlaw.bt Sonam Tshering was appointed as a Junior Lecturer at Jigme Singye Wangchuck School of Law starting in the Spring of 2017. He completed his law degree from New Law College, Bharati Vidyapeeth Deemed University, Pune, India and his P.G. Diploma from the Royal Institute of Management, Thimphu. He also completed his B.Sc. (Biological Science) from Sherubtse College, Trashigang. Prior to joining JSW Law, Sonam served as a Legislative/ Legal Officer at the National Assembly Secretariat. He also worked as the committee secretary to the Public Accounts Committee at the National Assembly Secretariat. He also served as a Legal Advisor and Asst. Legal Officer at the Bhutan Narcotic Control Agency & Narcotic/ Tobacco Control Board where he was fully involved in the drafting of and implementation of the Tobacco Control Act. He has also published several articles and papers for the Bhutan Law Review and in the print media. Sonam is currently on study leave, pursuing an LLM degree from George Washington University Law School (United States). kesang.wangmo@jswlaw.bt Kesang Wangmo was appointed as a Junior Lecturer at Jigme Singye Wangchuck School of Law starting on 1st February 2017. She completed her school education from Yangchenphug Higher Secondary School. She received her law degree from the ILS (Indian Law Society) Law College in Pune and completed her P.G. Diploma in National Law at Royal Institute of Management, Thimphu. She also completed internships at the Bhutan Today, the Bhutan Travel Club, Thimphu Thromde, the Royal High Court and the Bhutan National Legal Institute. She has worked in STCBL (State Trading Corporation of Bhutan Ltd) as the Company Secretary and Legal Counsel for a month before she joined JSW School of Law as a Junior Lecturer. Kesang is currently on study leave, pursuing an LLM degree at Sydney Law School at the University of Sydney (Australia). 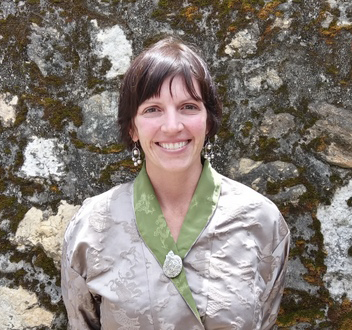 kristen.deremer@jswlaw.bt Kristen DeRemer joined JSW Law in April 2017 as a Researcher In Residence to design and conduct Bhutan’s first Legal Needs Assessment. Kristen’s professional background includes applied research and project development primarily in the context of human security and issues pertaining to both gender and ageing in humanitarian and development settings. She has designed, managed and contributed to research, evaluations and publications in a variety of areas, including; ageing populations, skipped-generation households, gender legislation, transitional justice, children in conflict, and women in fighting forces. Kristen holds a Master’s degree from the Fletcher School of Law and Diplomacy, at Tufts University (USA), and a Bachelor’s Degree from Oakland University (USA). 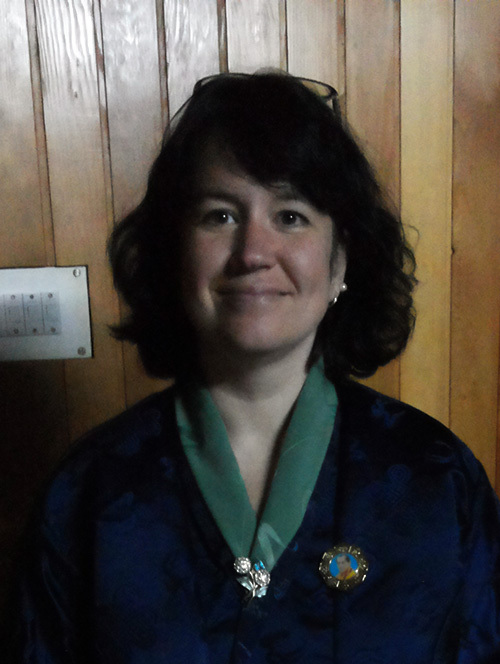 She currently lives in Thimphu, Bhutan with her husband, two young boys and one very large dog. 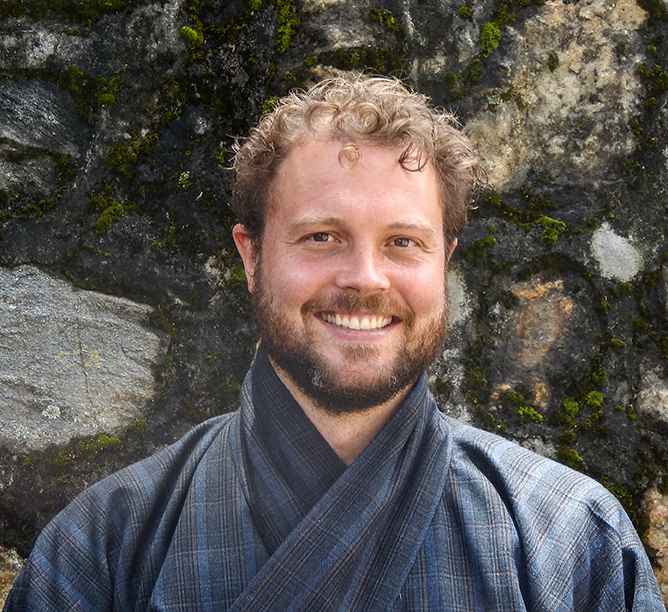 ugyen.thinley@jswlaw.bt Ugyen Thinley joined JSW Law/Royal Institute of Law as the Research Librarian in July 2015. 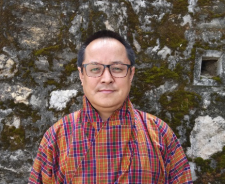 Prior to his transfer to the RIL, he was at the Bhutan National Legal Institute working as Librarian from July 2014 before that he was working with the National Assembly Secretariat since 2003. He received his Bachelor in Computer Application from Indian Academy Degree College, Bangalore University, India and received two Years of Office Management Course from Royal Institute of Management, Simtokha, Timphu. Ugyen is currently pursuing his Master's in Library Science via distance education from the University of North Carolina Greensboro (USA). 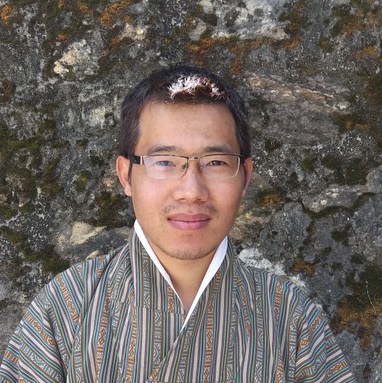 karma.choden@jswlaw.bt Karma Choden was appointed as a Junior Lecturer for Economics for Jigme Singye Wangchuck School of Law since August 1, 2017. She completed her school education from Motithang Higher Secondary School and her Bachelors of Commerce (Economics), from University of Wollongong, in INTI International College, Malaysia. 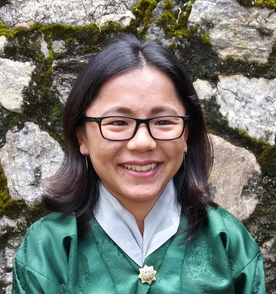 She was selected for her degree program through the Open Merit-Based Scholarship program offered by the Royal Government of Bhutan. After completing her studies, she did an internship at Motithang Higher Secondary School and taught Economics to the grade XII students. Karma Choden is from Lingarnang, Norgaygang, Samtse. She currently reside in Motithang, Thimphu with her sister.